This is the third in our short series of items on curiosities or rarities seen at this year’s Beaulieu Autojumble. This rare car was an attempt by General Motors to fill a gap in the market by producing an up-market companion to Oldsmobile. The cars were priced at $1,695 for the standard models, and $1,855 for the Deluxe model that we see here, when an Oldsmobile Sedan was only $995. Launched in 1929, it was a direct competitor to Buick in the higher price bracket, and this competition, combined with the start of the Great Depression to make things very difficult for this fledgling make. Only 7,997 cars were made in 1929 and 1930, despite extensive advertising in the Saturday Evening Post. What makes this Viking even more interesting is its V8 engine with highly unusual horizontal valves, with rocker arms but no push-rods. This form of valve-gear was also used on the contemporary Pontiac, but that engine suffered greatly from severe balance problems resulting from its use of a 180-degree rather than the conventional 90-degree crankshaft. 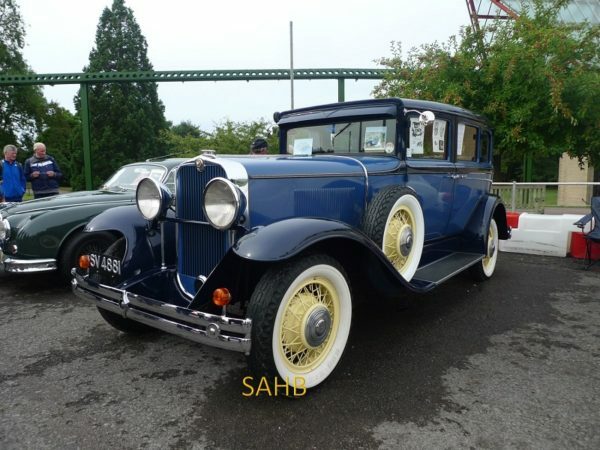 This example was imported into the UK in 1993 and has done sterling service as a wedding car for many years.